The state of Maine is committed to providing great teachers to their students. With that said, becoming a teacher in Maine is one of the most rewarding decisions a person can make. Teachers have the ability to make an impact on children in ways that others don't. By becoming a teacher, you will have a direct impact on Maine's future! The following steps will help guide your path towards becoming a teacher in this great state. One of the first things prospective teachers should do is choose the age group or subject(s) they would like to teach. For example, would you like to focus on elementary, middle, or high school aged children? Perhaps you prefer to work with children with special needs. There are different requirements for each area of certification, so it is important to have a good idea before you begin. If you are not sure, you can consider the following: Do you have a passion for a specific subject? If you do, perhaps you can consider becoming a certified middle or high school teacher. If you do not have a passion for a single subject, you can consider becoming an elementary school teacher. Elementary school educators teach a breadth of subjects at the fundamental level. 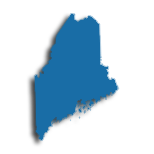 If you are still unsure, the Maine Department of Education offers information on teachers, students, and schools in the state-which could help you make your decision. If you want to teach in Maine, you must at least have a Bachelor's Degree from an accredited college or university. Those who desire to teach in Maine must also pass a state board-approved teacher education program. These programs help you build skills specific to the level or subject you want to teach. If you do not have a Bachelor's Degree yet, you should ask an advisor if your university offers a joint program; most accredited colleges and universities do. A joint program is one that blends together the coursework and requirements needed to become a teacher and to get a Bachelor's Degree. As mentioned earlier, in order to become a teacher in Maine, you must complete an accredited teacher education program. This will lead you towards earning teaching certification. If you already have a Bachelor's Degree, you can complete an alternative or post- baccalaureate teacher preparation program. For those who already have degrees, the completion of the program along with passing test scores will lead you towards becoming a certified teacher. Keep in mind that your school might even offer a joint Master's Degree and certificate of teaching program. The teacher education programs in Maine prepare pre-service teachers for a career in the classroom. The programs generally have two parts: curricula and fieldwork. During the program, you will focus on teaching methods for your applicable subjects, classroom management strategies, lesson plan design, differentiated instruction, and more. In addition, it is likely that you will participate in student teaching or an internship. As a student teacher, you will work with a master teacher to develop your skills in a classroom. Maine's Department of Education maintains a list of universities and institutions that offer accredited Teacher Preparation Programs. If the above path does not apply to your circumstances, there are alternative routes to becoming certified to teach in Main. Alternative routes usually result in a temporary teaching certificate which can eventually become a valid teacher certification. Maine's Department of Education offers transcript analysis for people who want to make a career change into teaching. These applicants should have a Bachelor's Degree or higher from an accredited college or university. In addition, applicants should have relevant content area coursework and passing scores on the Praxis Pre-Professional Skills exam. If you meet these requirements, you can apply for a conditional teaching certificate. Keep in mind that before the conditional certificate is granted, the school district must first have actively sought to hire a traditionally licensed individual and been unable to do so. If you are certificated to teach in another state, you will likely be allowed to also teach in Maine through a reciprocity agreement. In this state, reciprocity is available under two circumstances: (1) Candidate has completed an approved preparation program for the endorsement or certificate being sought with a formal recommendation for certification from the institution; (2) Candidate must have completed three successful years of teaching within the five years prior to applying for Maine certification under a valid comparable teaching certificate. Those who desire to teach in Maine must successfully pass several tests as well. Prospective teachers must prove their abilities in the fundamentals of reading, writing, and mathematics by passing the Praxis CORE Academic Skills for Educators test. This test is often also referred to as the PPST or the Praxis I. In order to show subject matter competency, Maine requires educators to pas the Praxis II exam. This exam measures subject-specific skills and knowledge. In order to qualify for certification, the test should be taken in the area the candidate desires to teach. The test is comprised of multiple choice and essay questions. Some colleges or universities require candidates to pass some or all of these exams before entering or exiting a teacher preparation program. Ask a college advisor for specific information regarding the test you need to take in Maine for your subject area. After completing the above steps, you will have what it takes to begin your career as an empowering educator in the state of Maine! Teacher candidates looking for employment prospects in the state of Maine are encouraged to research using the state website as well as the supporting database found at servingschools.com. With these resources, potential teachers can submit applications for timely postings. Teachers are advised that ServingSchools provides job listings for more roles than teachers and administrators. Currently, the state of Maine has a need for elementary teachers, and those possessing Special Education qualifications. Other desirable subjects are Language Arts, Physical Education, and STEM subjects. Once hired, teachers are eligible to participate in the Maine Education Association (MEA) as well as the Maine Teachers Association (MTA). Both are labor unions whose support benefits teachers' working conditions, professional development, career advancement, and retirement. Teachers who are looking for alternative career paths may choose to apply to the state's 179 private schools. In these private schools, the student to teacher ratio of 9:1 is greatly favorable for an excellent learning environment. Almost half of the private schools in the state have religious affiliation. Upon retirement, teachers can expect to draw a pension from their mandatory contributions from Maine Public Employees Retirement System (MainePERS). Additionally nearly all school districts participate in teacher insurance benefit plans under Maine Education Association Benefits Trust (MEABT) to ensure the continued health and wellness of their family. The table below lists the number of public school teachers in Maine by grade level during the 2012-2013 school year. There are more than 150 private schools with an estimated 1,800 private school teachers in Maine. The table below details the number of teachers by grade level during the 2011-2012 school year. Teachers and educators throughout North America have built a strong culture of professional development in their workplace. Ongoing professional development is documented to improve teachers' professional practice both in and out of the classroom. In this way, teachers reflect on and assess their own goals and learning needs and collaborate with other professionals in order to improve student achievements, increase pay, and advance their careers. The best professional development programs are strongly data and research-based, provide opportunities for collegial learning, include programs and offerings that are presented by in-house resources, and are differentiated by level of experience and professional needs. The state of Maine's Department of Education functions as the state's database for available professional development. Teachers are encouraged to access the database through appropriate school district channels in order to engage in relevant professional development. Maine has a Performance Evaluation and Professional Growth (PEPG) framework in place in order to help teachers in the state achieve their professional goals and improve student learning. No, a master's degree isn't a requirement for teaching in Maine. But with an advanced degree you'll be able to broaden your knowledge and skills, either within your specific subject area, or more generally in education, and bring an advanced level of expertise to the classroom. Plus, it may open doors for a host of professional opportunities and increased pay. Your professional teacher certificate is valid for five years and is renewable upon the completion of at least six semester hours of approved study or 90 hours of in-service training. While you don't need to take graduate-level courses to meet the six-semester-hour requirement, earn your master's degree and you'll be able to satisfy the continuing education requirement for your professional teacher certificate after completing just two courses. According to figures published by the Maine Department of Education, master's-preared educators in the state public school system earn more than their bachelor's-prepared peers. For example, the minimum annual salary for teachers in Maine is $34,687, while the minimum annual salary for master's-prepared educators is $40,237 - a difference of more than $5,500. Similarly, educators here with five years of experience earn a minimum salary of $37,115, while those with this kind of experience, along with a master's degree, earn a minimum salary of $42,665.